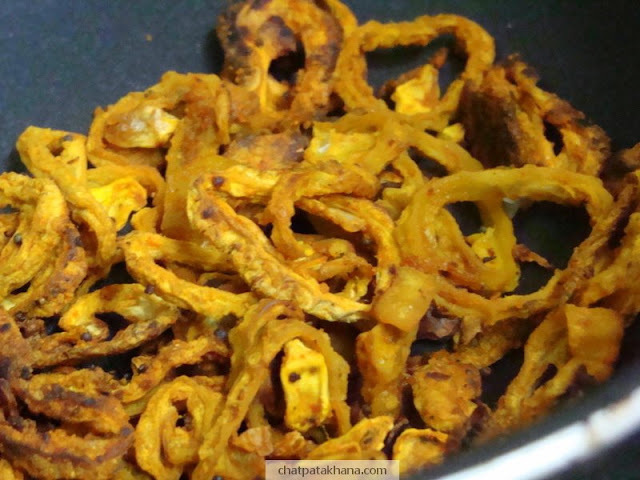 A tangy karela (bittergourd) dish that is not bitter! The karelas will become a little watery. Add some water and squeeze the karela. Remove the water and keep aside. Once the seeds starts to crackle, add the karelas. Now add turmeric powder, red chilli powder, amchur and sugar. Mix well and cook without lid on a low flame. 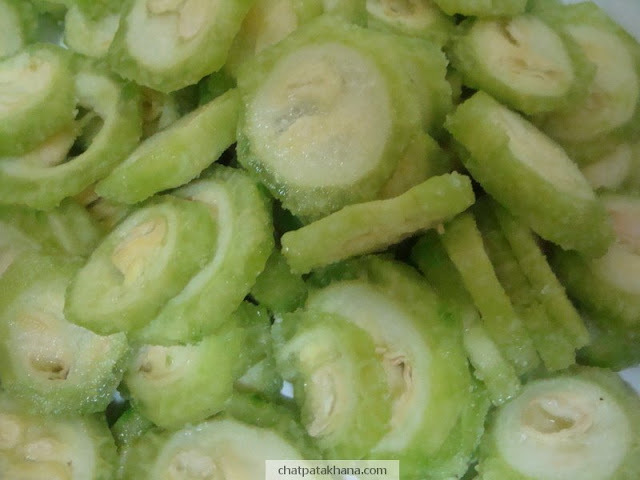 You will notice that karela seeds will come out while cooking. Once the karela is crisp , it is ready to serve. Serve with gravy vegetables and rotis. Tip:Try to balance the taste between sour and spicy. Keep tasting often while cooking.